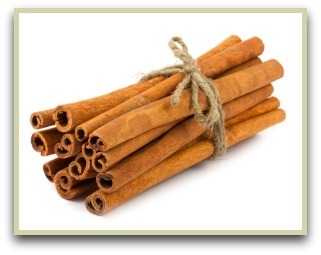 Cinnamon oil is extracted from the inner bark or the leaves of the cinnamon tree by steam and has many uses in aromatherapy and in natural medicine. There are other ways of extracting it, but steaming seems to be the most popular. Important Note: this is powerful stuff and it should never be taken internally. 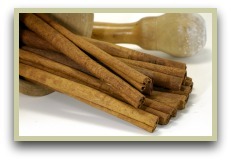 Also cinnamon oil should not be used by pregnant women. Please seek advice before using. ...add a drop or two to the water in a diffuser and breathe in its rich aroma, or blend with water and use a spray bottle to freshen a room and inhale its scent. Immediately, you’ll notice the effect on your state of mind. This effect on the mind and you can see why it’s commonly used in aromatherapy to reduce stress, improve memory and increase alertness and attention. It can be important to know whether your cinnamon oil was distilled from leaves or from bark, as the active ingredients are different in each case. Oil distilled from leaves is slightly weaker, having less cinnamaldehyde, and can be used on the skin in small, diluted amounts. Made directly from the bark, it can contain up to 50 per cent cinnamaldehyde, and should not be used on the skin as it is a strong irritant. Throughout history, this has been a truly valued spice, whether by an ancient ruler who thought it would cleanse his soul, or by a modern day mom sprinkling a little with love onto the morning toast. There is now research going on looking at its many potential uses in preventing and fighting the spread of certain kinds of cancer, including colon cancer. Whilst you need to be very careful using cinnamon essential oil, the actual ground powder has a whole range of health and therapeutic uses. Read more on these.